If you have multiple windows running on your PC, then your system might become slow, and you may face some errors. In order to solve this, you need to kill all those tasks. In this tutorial, we’ll show you how to easily kill all the running tasks at once with just one click. I know that first thing that comes to your mind when you’re in a situation like this is forceful restarting. But you definitely shouldn’t do that, because forcefully restarting your PC could damage your computer and its system files. So, forget about forceful restarting, and perform some of the following actions in this article. How do I kill all processes in Windows 10? This command should kill all processes recognized as unresponding, and you’ll be good to go. If you prefer to use third-party software to solve problems, CloseAll is probably the best task-killing tool out there. It automatically closes all running processes, leaving you on Desktop. All you have to do is to open it and press OK, and that’s the whole philosophy. Some users recommend you to pin it to taskbar, in order to have easy, instant access to it every time you need it. You can download CloseAll from its official website, for free. In newer Windows 10 versions, related processes are grouped under one common cluster. As a result, you can end all the processes gathered under the same cluster by right-clicking on the respective cluster and selecting End Task. Another method to kill unnecessary processes is to clean boot your computer. 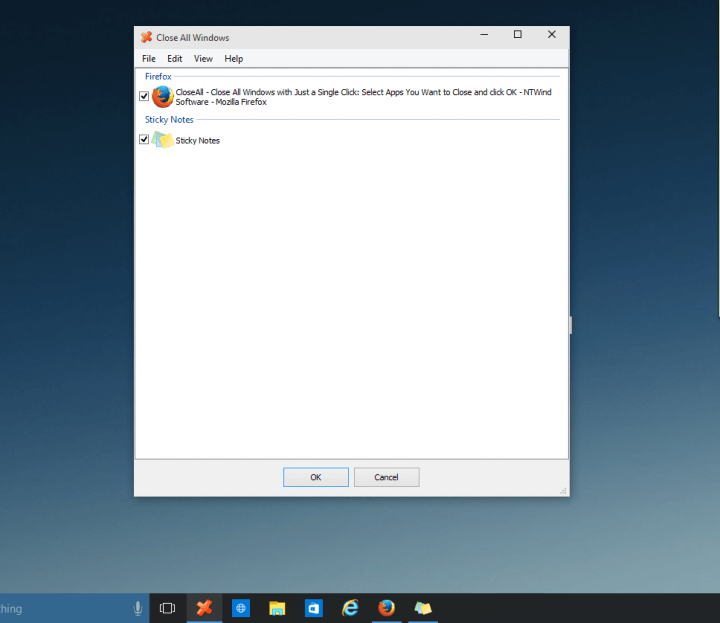 This method allows you to start Windows using only a minimal set of drivers and programs. Of course, you’ll need to restart your computer for this solution to take effect. Close Task Manager > restart the computer. 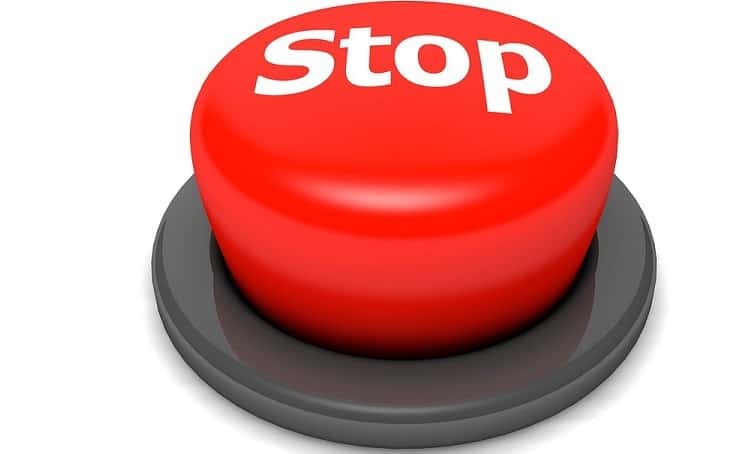 Now, if you want to stop only particular processes, apps and programs, there’s a solution for that as well. How to end all Internet Explorer processes? If you want to stop all IE processes, you can use Command Prompt for this task. Simply open Command Prompt as an administrator, enter this command: taskkill /F /IM iexplore.exe and hit Enter. How to end all Google Chrome processes? 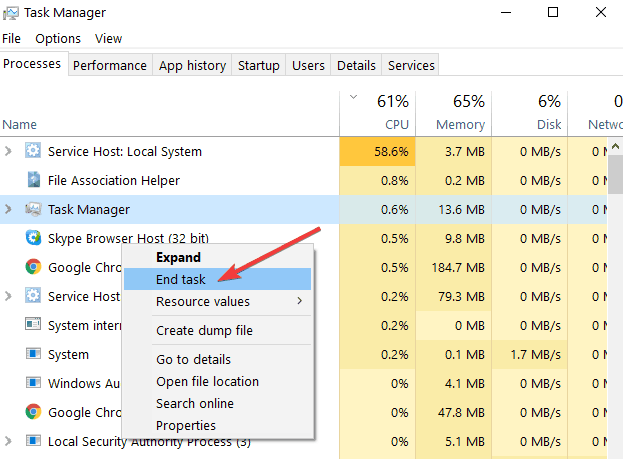 Google Chrome processes may sometimes eat up much of your computer resources. To stop all Chrome processes, go to Settings > Show advanced settings… Now, you can uncheck the option ‘Continue running background apps when Google Chrome is closed’ to kill all Chrome processes. 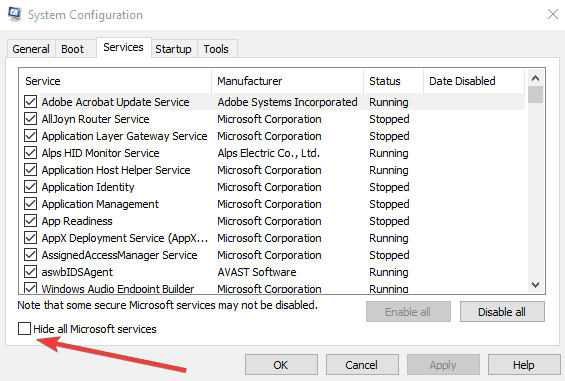 How to end all background processes in Windows 10? 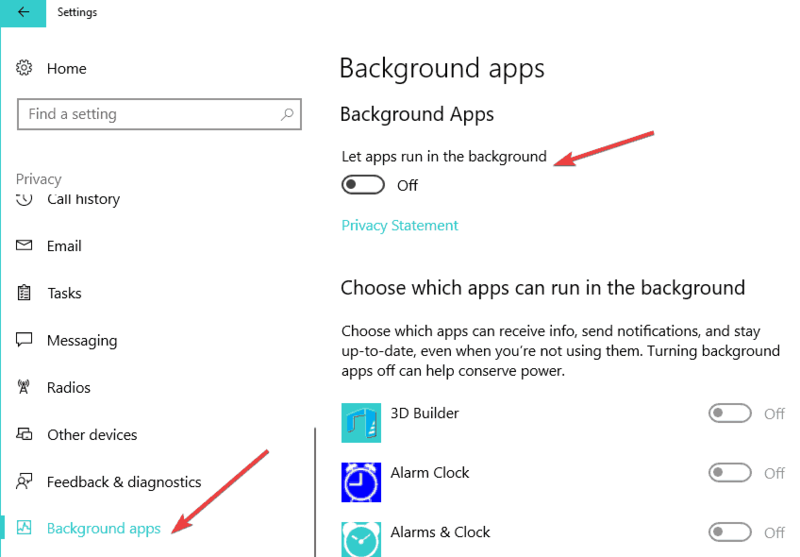 To to this, go to Settings > Privacy > Background apps > turn off the ‘Let apps run in the background‘ toggle. 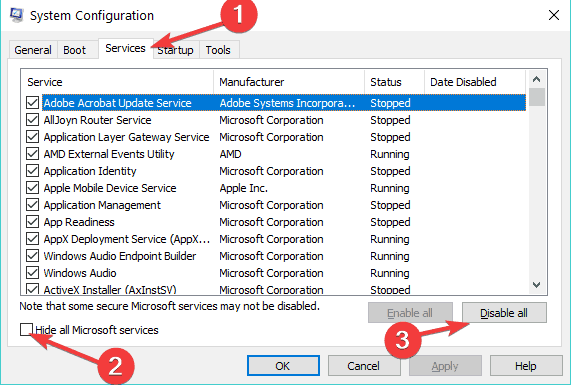 So, this is how you can end all the processes on Windows 10 or only a specific category of processes.